In its first financial statements since previous reports were withdrawn. Steinhoff International Holdings published interim results for the six months to March 31 2018 on Friday afternoon, providing the first look at its financial position since Markus Jooste resigned as CEO in December last year. However, management made it clear that because the PwC forensic investigation into financial irregularities is still ongoing, uncertainties remain. “Since management’s investigation into accounting irregularities has not yet been completed, there is a risk that disclosures made in this report could be affected or contradicted by any new facts or analyses that may arise from the ongoing investigation,” it noted. The group reported a 2% rise in comparable group revenues over the unaudited, restated results for the first half of 2017 to €10.1 billion (R160.9 billion). However, comparable group earnings before interest, tax, depreciation and amortisation (Ebitda) fell 51% to €80million (R1.3 billion). When excluding the contribution of POCO, which is equity accounted from the end of the last financial year, revenues were 6% lower and Ebitda fell 72% to just €45million (R720 million). The group reported an operating loss for the period of €381 million (R6.1 billion), compounded by net finance costs of €224 million (R3.6 billion). Steinhoff’s total loss for the period was €599 million (R9.6 billion). Net cash outflow from operating activities was €802 million (R12.9 billion). This was more than a quarter of a billion euros greater than the restated net cash outlow from operating activities of €545 million (R8.7 billion) for the comparable period last year. In her report attached to the results, chairperson Heather Sonn also reiterated that PwC is on track to deliver the findings of its forensic investigation before the end of 2018. The group’s auditors, Deloitte, are on record as saying that they will not sign off on any results until PwC’s final report is delivered. Sonn acknowledged that in the course of the investigation “certain transactions that may not have been entered into on an arms’ length basis have been identified”. Steinhoff is working to identify and correctly account for these transactions “with a focus on determining the extent of the relationships and the recoverability of loans and assets”. However, where there is no security on the loans or where Steinhoff does not have enough information to determine whether anything is recoverable, these assets have been impaired. The total value of overstated assets and the reversal of non-arms’ length transactions was stated as €6.1 billion (R98 billion). Steinhoff noted that in “all periods presented, the group’s current liabilities exceed the current assets”. This means that it is factually insolvent. It has however thus far avoided liquidation by reaching agreements with creditors for them not to call in loans. Management noted that it feels it is appropriate for Steinhoff to continue as a going concern, since it believes it has a reasonable prospect of reaching long-term agreements with creditors to “reschedule their claims against the group in such a way that will ensure that the servicing costs and repayment obligations are sustainable”. It also noted that if a restructuring plan is agreed with creditors, each of the group’s financing and operating companies will have “access to sufficient working capital facilities to continue to trade”. This restructuring plan has, however, not yet been detailed. Steinhoff also reinstated a dividend to holders of Steinhoff Investment Holdings (SIH) preference shares on the JSE. No dividend was paid to these preference share holders for the period ended December 31 last year. 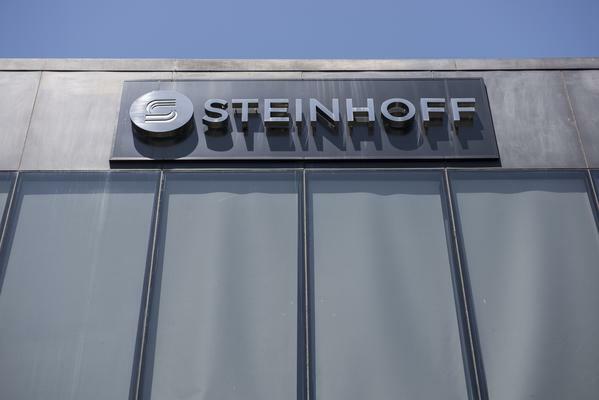 In April this year Steinhoff announced that trade in these preference shares had been suspended in accordance with JSE rules, as SIH had failed to publish consolidated annual results in the required time. The board however announced that a preference dividend of 427.41781 cents will be payable to holders of the SIH preference share on July 23 2018. No dividend was declared for holders of ordinary Steinhoff International shares.